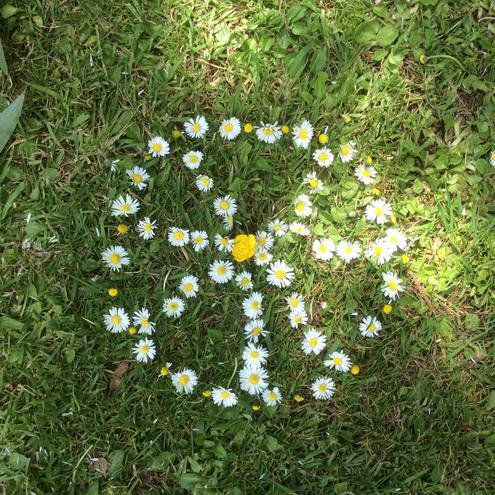 Welcome back to the second half of the Summer term - I hope you have all had a restful half term. I have attached the medium term plan so that you can take a look at what is coming up during the next seven weeks. 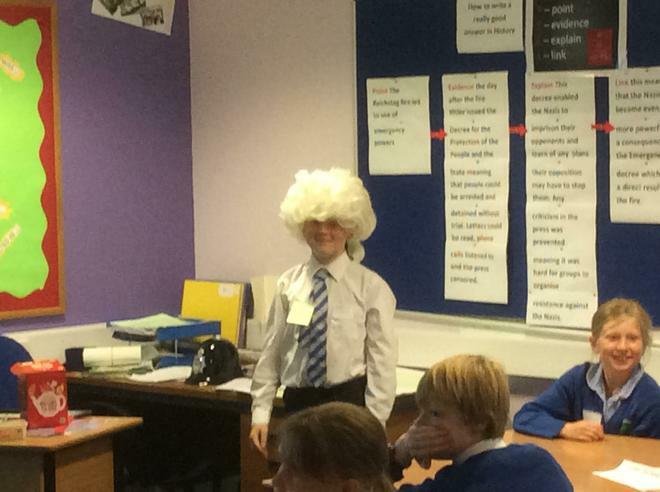 I am really looking forward to this half term, we have lots of fun and interesting things coming up, watch this space for further information. As always, if you have any questions, please do not hesitate to pop in, my door is always open. What an amazing performance it was! 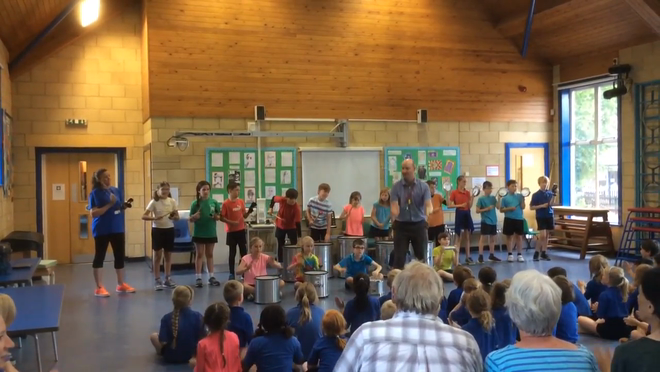 We have had such great fun learning to play Samba, the children have been incredible. Well done everyone! 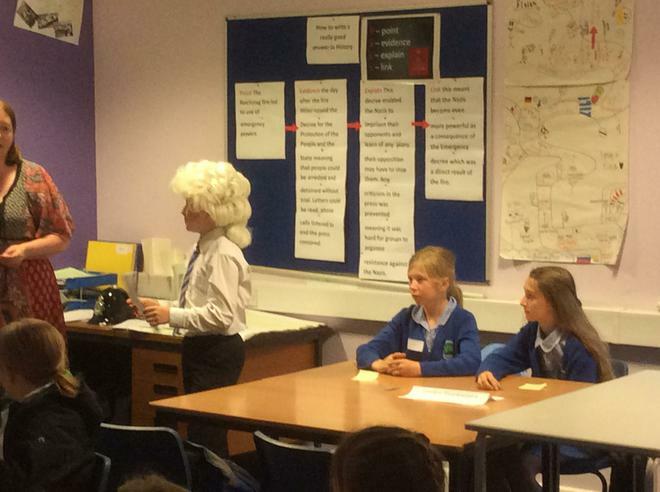 We had a great morning at Shaftesbury High School, we began the morning with a history lesson about smuggling. All of the children were given a role to play and we acted out the passage of tea to the tea drinkers of England. 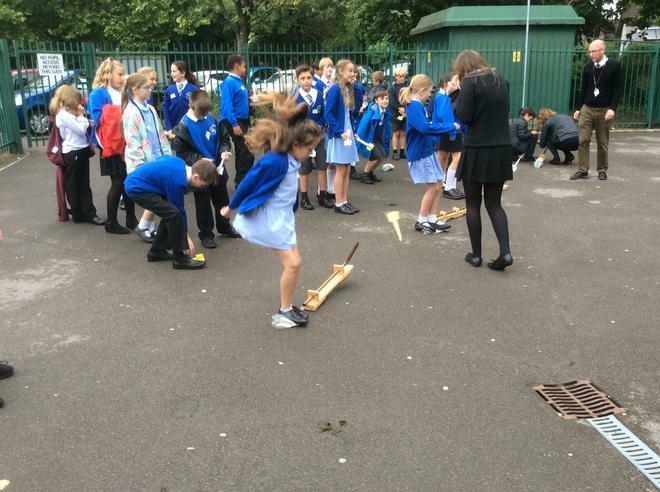 After break we headed off for a D&T lesson where we made rockets and the went outside to fire them in the school grounds. 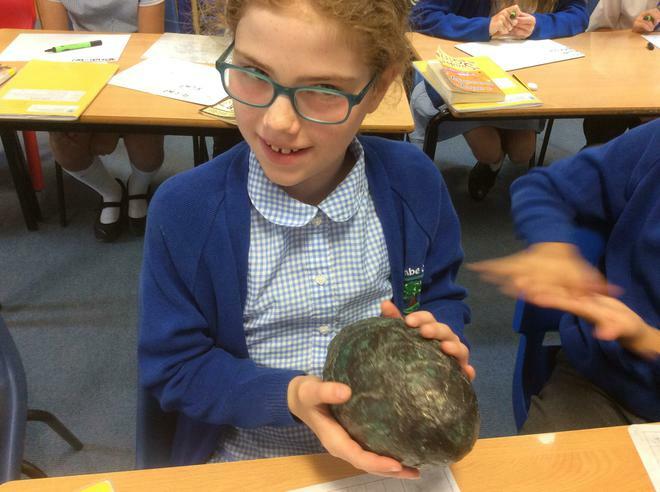 We had a strange visitor in the classroom, who claimed to know about our egg. It turns out it is the egg of an Aurelias Dragon! Our visitor asked us to research other species of dragon so that we can create a book of UK Dragons. 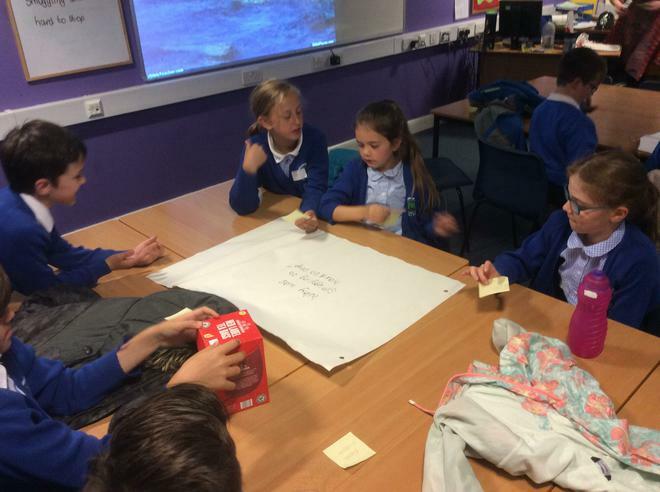 We are all working hard to create our book. It will be published soon! A knock at the door... some ducklings arrived looking very excited... in their hands something egg shaped, something heavy, something strange. Overnight, what appeared to be a giant egg arrived in the Ducklings play area, tucked away in the logs of their bug hotel. Very strange. On closer inspection, Swallows class think they knew what it could be, after all they are quickly becoming experts in this particular area. 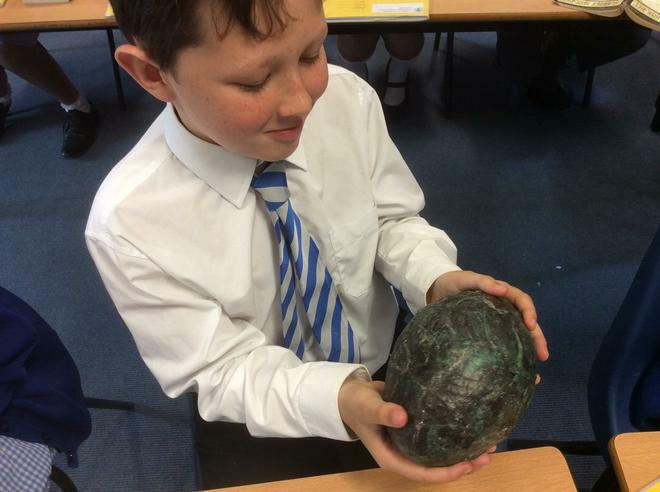 A dragon egg. 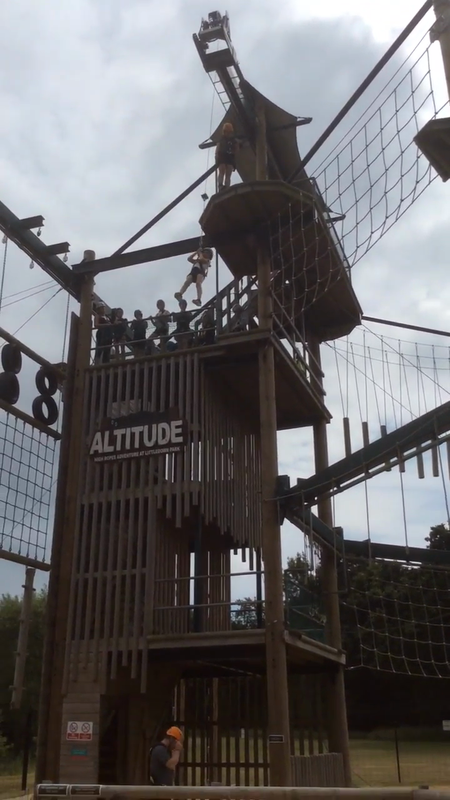 What an amazing day we had at Altitude! 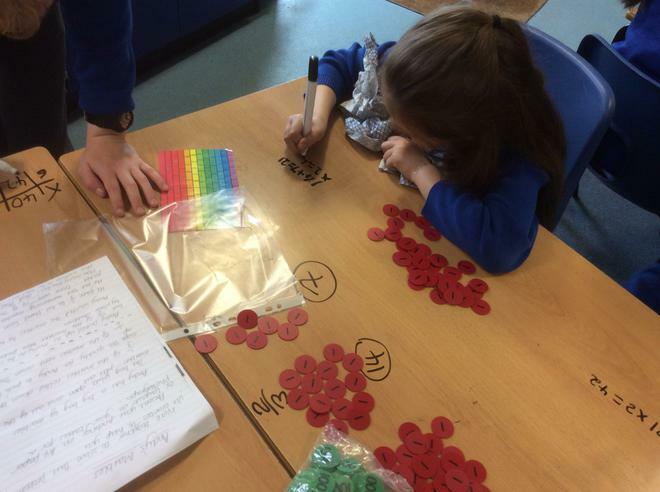 The children really challenged themselves, with many of them achieving much more than they thought they could. I really am so very proud of them. We started the day climbing up the totem pole, with many of the children (and teachers) making it all the way to the top, challenging themselves to stand on the top of the 'see-saw', before joining in with a game on heads shoulders knees and 'jump'! Next we took to the low ropes to test our confidence before going up to the high ropes. Finally, we took the 'leap of faith' jumping off from a platform - the highest point of the course. I can assure you this was not for the feint hearted, we all left our stomachs at the top as we plunged towards the ground. 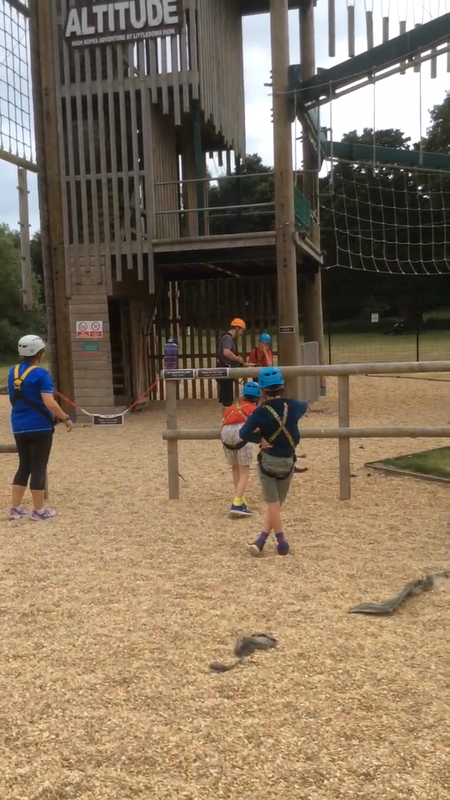 I was impressed with the way the children supported each other, there were cheers of 'you can do it' and 'I believe in you' from the ground as the less confident plucked up the courage to jump. A really heartwarming experience. Well done Swallows, I was so impressed with you. You took on the challenge... and succeeded! Swallows have had a lovely day discovering all things Viking. We started the day welcoming each other and sharing our wonderful costumes. We then headed into our Viking clans for the days activities. 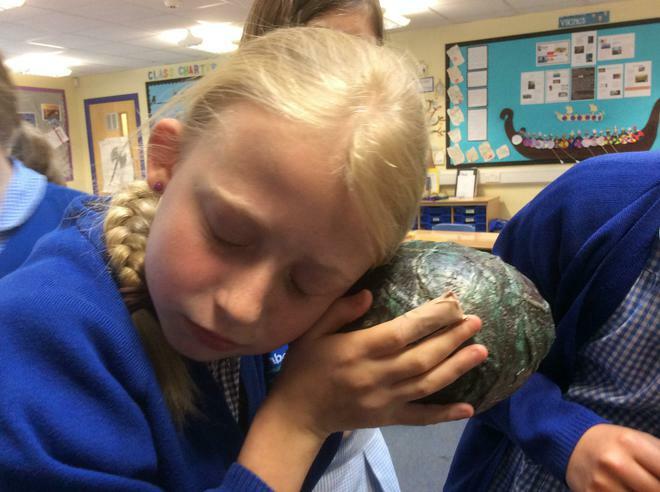 We made Viking bread, brooches and pendants, shields and of course Viking 'Seagull Stew'. In addition to this, we made garlic mushrooms and played Viking games. We finished off our morning with a Viking feast, which was enjoyed by all. With many of the children having a second serving (some even a third!). In the afternoon we had to cancel our plans as the weather was too hot to go outside (us Vikings are used to cold weather you know!) so we had a quiet afternoon finishing off and thinking about the activities we had done in the morning. Tucking into our Viking Feast!! Feasting on Seagulls Stew and garlic mushrooms. A Viking Feast for our Viking clan. As part of our science this term, we asked ourselves the question "Do longer arms throw further?" Mrs McCall predicted that the longer our arms were the further we would be able to throw a ball. 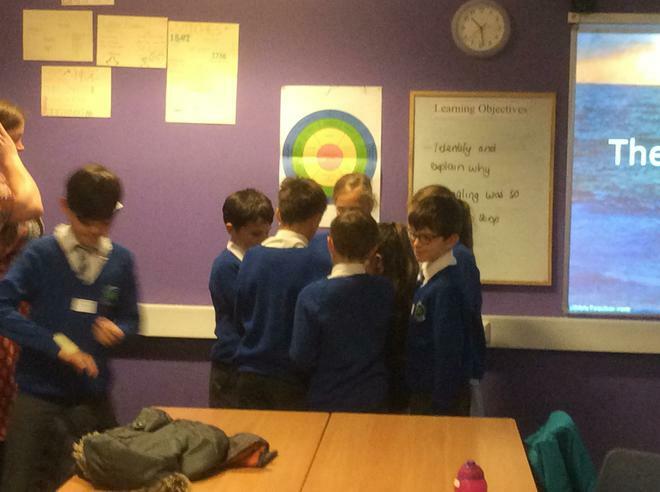 We talked about variables and decided a particular way we should throw the ball to ensure our test was fair. 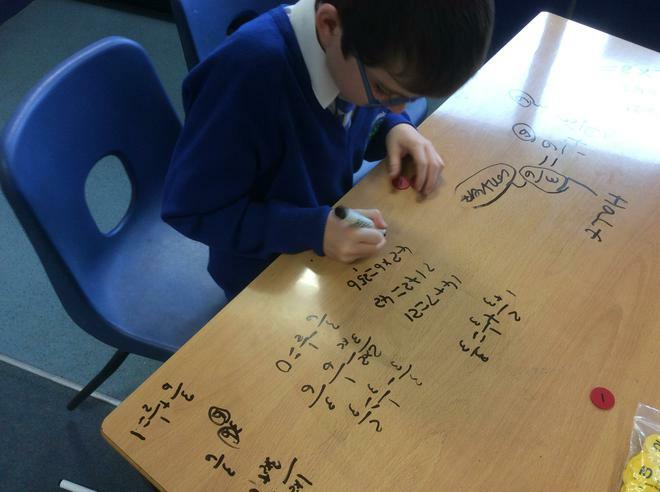 We worked in teams, making recordings and working out the averages for our groups. 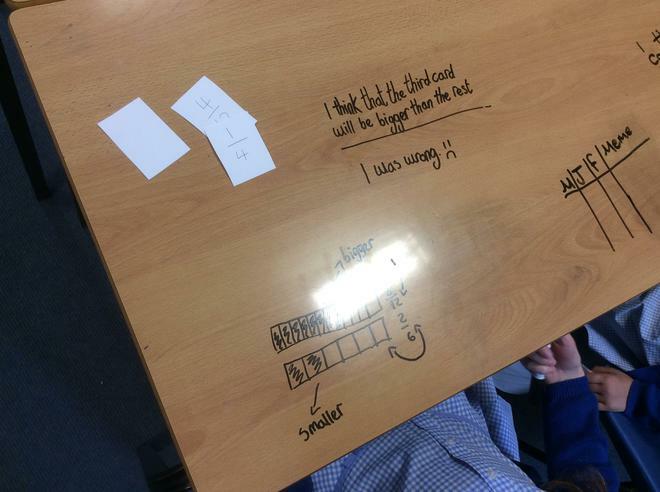 Next week we are going to put our results in graphs and tables and decide if Mrs McCall's prediction was true. 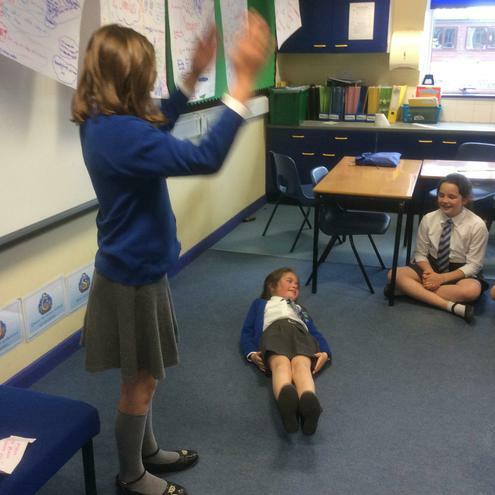 Science investigation - do people with longer arms throw further? We have had an amazing day at Safewise today, learning about how to keep safe in a variety of situations, from crossing the road to knowing what to do in the event of a house fire. We have some follow up work to do, so we will be talking about safety as an on-going theme in the classroom. Please ask your children what they have learnt today, I am sure they will have lots of safety advice to give you! We have enjoyed exploring the creation story during our whole school focus week. 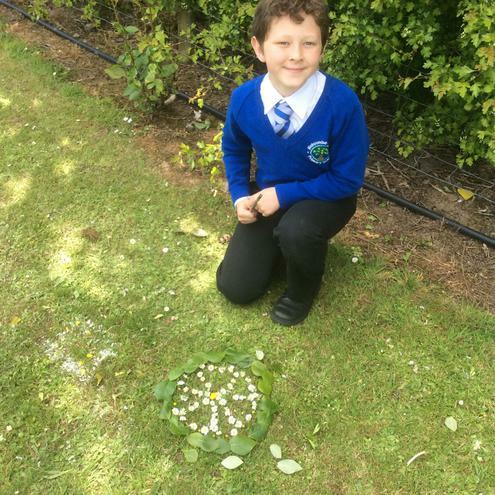 The children have acted out the story, created art work and on Tuesday looked at the beautiful patterns nature provides us with. 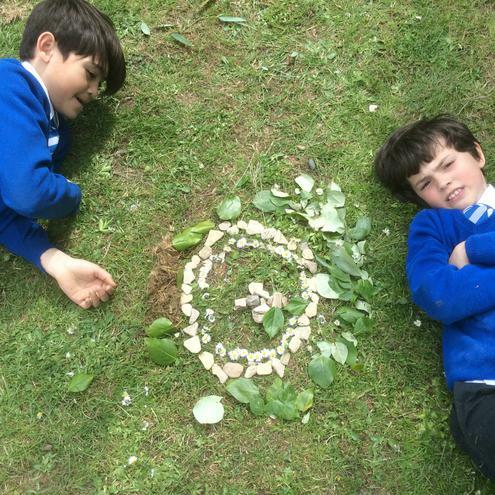 We looked at the work of Andy Goldsworthy and went outside to create our own art inspired by nature. 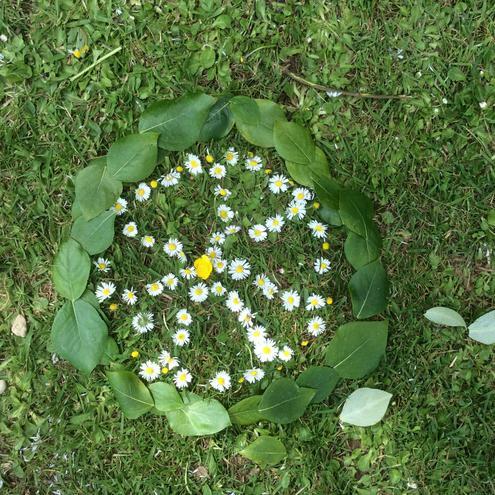 The results were beautiful and the children created their own image of the world from leaves and flowers. Were the Vikings really vicious? SPRING TERM 2017 - THE CHRONICLES OF NARNIA! 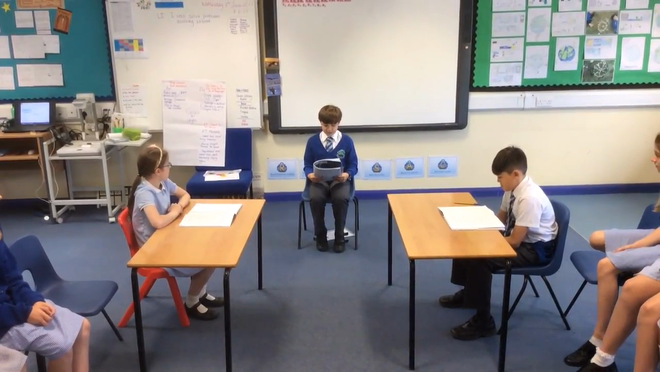 This term our topic is Narnia! Please find a parent topic leaflet and medium term planning document below ,but this may change depending on other activities or events that happen throughout the term. 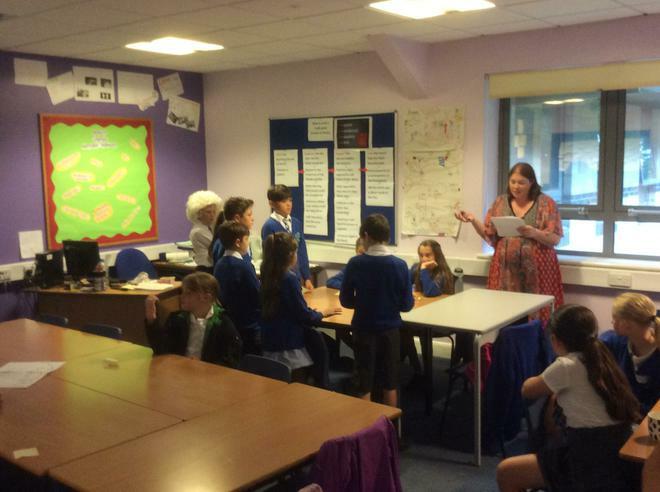 Lots of exciting things to come through the spring term such as a visit to the secondary school library and world book day fun and games. We have also made bands and have started writing our own songs - this has been done through singing strategy lessons (funded by SASMA) and we will also be taking part in Clayesmore's Choral day in February. We have been investigating how different animals adapt to different habitats. 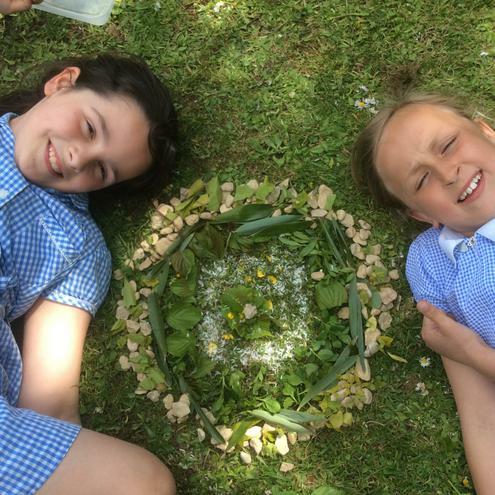 Swallows made some brilliant 3D biomes for homework! Fantastic junk art ready to go on the hut in the school field! Thank you Mrs Dawkins-White! 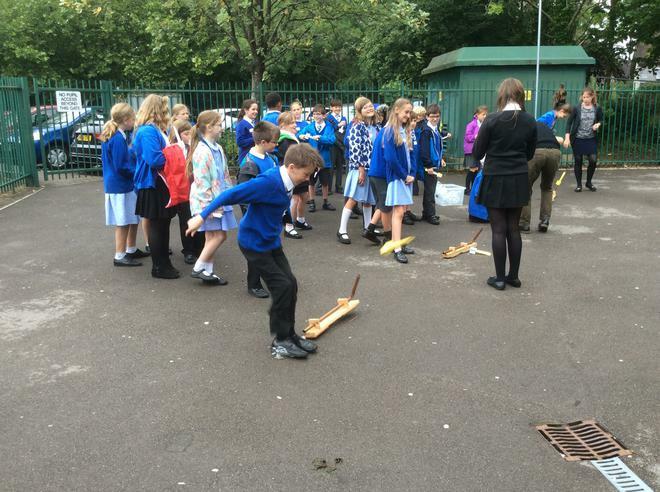 Year 5 really enjoyed their time at Shaftesbury School have two taster sessions - English and Science. Our clarinet players enjoyed trying out some different size clarinets today! The children all looked fabulous in their World Book Day costumes. 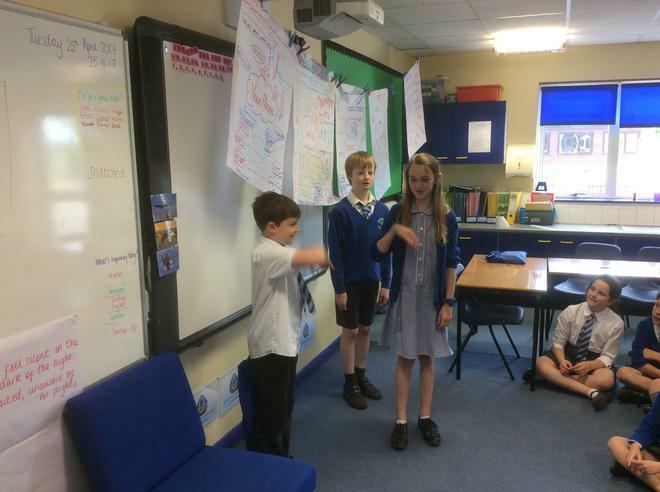 Year 5 have really enjoyed their time with Beth and John from Root Academi. They made up some fantastic songs and music to accompany them and performed them at Shaftesbury Primary School. We have been studying L.S Lowry in Art and Design; the children have done their own paintings in the same style. 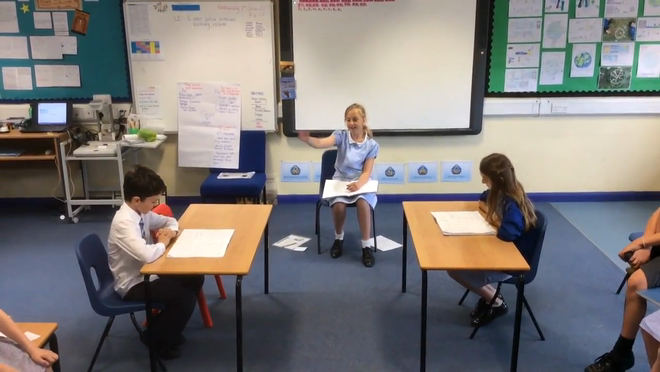 The children have split themselves into 3 bands - The Twiglet Girlz, The Highway and Euro Bling - and have enjoyed starting to write their own songs this week with Beth and John from Root Academi. 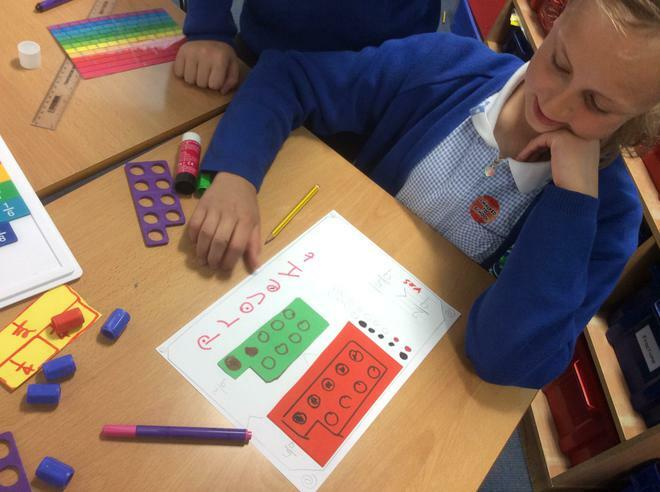 The children have been using Excel in ICT lessons. 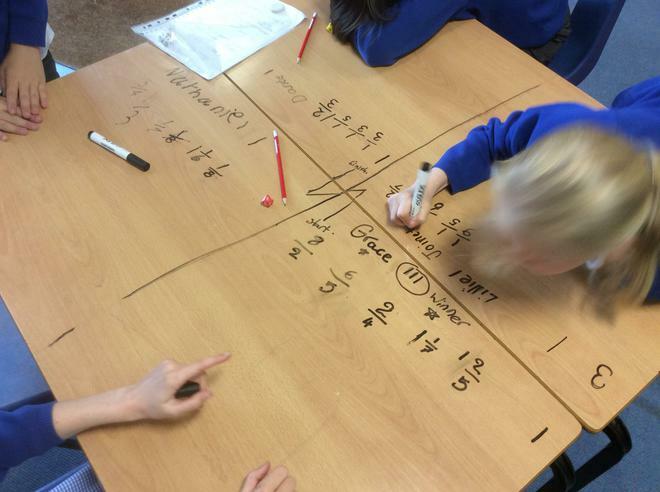 They have looked at temperatures in cold places and recorded them in tables. Some children have also included temperatures from other destinations to compare them. We visited the library at Shaftesbury School this week. We were shown around and had time to choose a book and quiet read. It was a very nice morning! The children have designed their own lands that lie behind the wardrobe doors. There are hot and humid jungles, dusty deserts and busy cities. We had great fun at our Christmas dinner. Thank you to everyone who helped make it so brilliant! 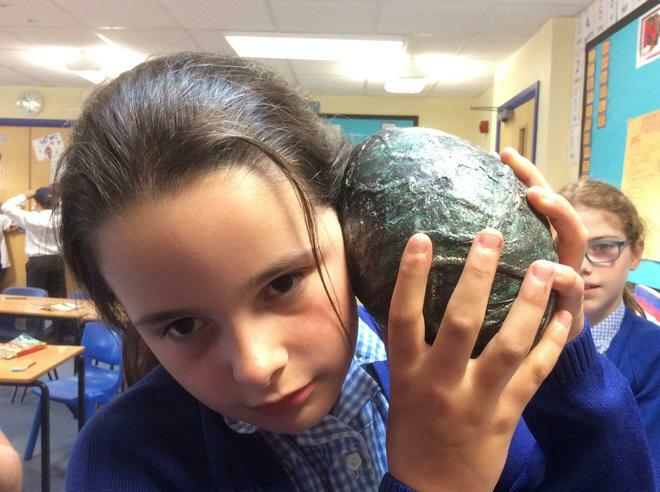 We went to The Shaftesbury School to take part in a DT workshop based on our topic Incredible Inventions. We made moving cars using lots of different tools and machinery. Look at our beautiful angel pictures! We had great fun making pizzas. We made the dough and sauce from scratch! Swallows have begun to make their fair ground rides. It was quite tricky to make a sturdy structure but we have two working rides so far! 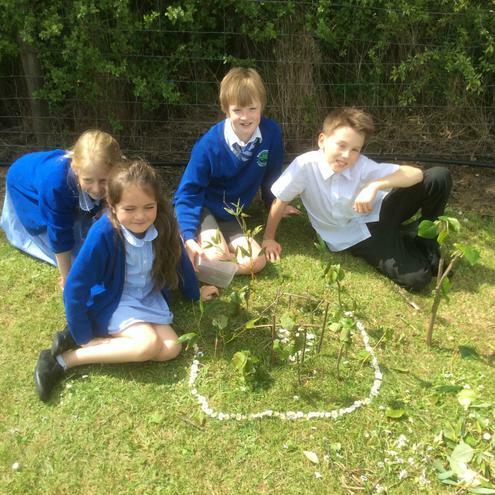 We have had fun planting a mini forest down at the bottom of the school field! Swallows have been making some really cool birds out of milk bottles to go on the top of the new shelter in the field. In science we have been exploring air resistance through asking the question: Does the size of a parachute affect how effective it is? 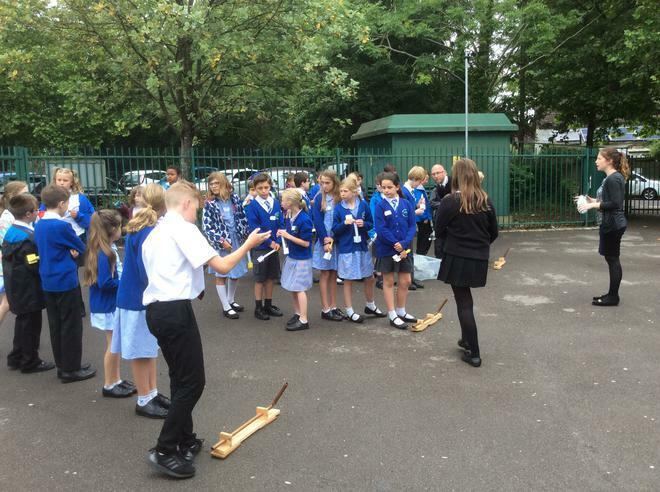 The children have planned their experiment and have begun to test their theories. Year 5 had a fantastic time at the Andrew Simpson Sailing Academy in Portland. This term we are exploring forces in science. We have been thinking about gravity today! The children had to try and keep the balloon in the air by blowing air through a straw. It was harder than you'd think! Friday afternoon fun and games! The children have enjoyed opening our new class library and we have some super efficient librarians! What a brilliant start to the year! All of the children have worked super hard throughout the week. They have written some fantastic pieces of descriptive writing linked to the book Journey and have worked their socks off in maths! Congratulations to Toby, Grace, Roussi, Meme, Dante, Jasmine and Sophie who have earnt their pen licence already! Well done to all the children in Swallows class for a fab week! !